What a bad break world number one Rory McIlroy (almost literally) has had this week suffering ruptured ankle ligaments after a fall whilst playing football. The injury will almost certainly rule him out of defending the Claret Jug at next week's Open Championship at St. Andrews, his chances of playing are quoted at just ten percent by doctors. Scottish golfer Richie Ramsay had a similar injury that ruled him out for three months so Rory really will have to make a miraculous recovery to tee it up next week. Click here to see Rory's tweet and photo. Of course it would be a massive blow to lose Rory McIlroy from the Open field but I'm sure that it will still be a great tournament played on probably the most famous links course in the world with Jordan Spieth now the outstanding favourite, look out next week for a full Open Championship preview! 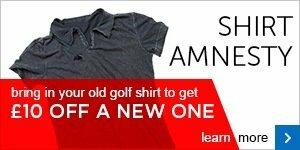 Have you traded your old golf shirt in yet? The July Medal was played in fabulous sunny conditions on Saturday afternoon, Mike Angel has been having a good season and he claimed his second victory of the summer so far with a fine nett 64 including a birdie three on the fifteenth hole. Mike's good form has certainly been noted by the Handicap Secretary as his handicap has now been reduced to 18, well done Mike! In second place was Steve Dunning who got off to a slow start but two birdies on holes eight and twelve helped him to score a nett 67, in third place was left hander Dave Shering also with a nett 67. Click here for the full results. This Saturday it's the really big one as this year's Club Championship takes place it's our major of the year and defending champion is fifteen year old two handicapper Tom Duncalf, he is one of a number of players that will be amongst the favourites in what looks like it will be a hotly contested competition with lots of names down on the entry sheet, it should be a great day! 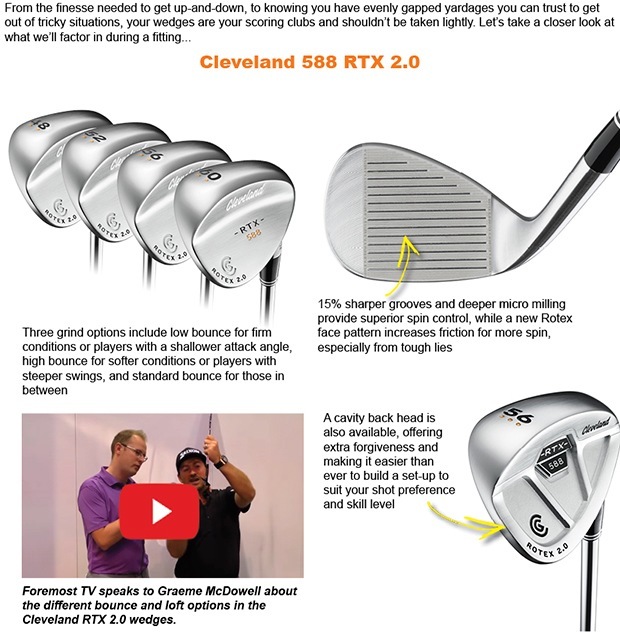 Pete Dawson visited us for an iron fitting last month and I will always remember it as we saw such a significant improvement in his figures he went from hitting his old 7 iron barely 135 yards to hitting the new PING G30 7 iron 170 yards, a 35 yard improvement! Pete was also hitting the ball straighter with his new clubs and I said to him at the time that he was hitting the ball so well with his new irons that he would win a competition within a month. I'm pleased to say that I was proved correct as Pete played in the seniors June Stableford last week and blitzed around the golf course scoring 42 points and won by 4 points. Pete has always been a decent player but the new clubs just helped him to take his golf to the next level and start winning, again showing the clear benefits of custom fitting! If you would like to speak to me about any aspect of club fitting and how it can help your golf please contact me here. The Seniors have recently played an 18 hole and a 9 hole Stableford, as mentioned above the clear winner of the 18 hole competition was Pete Dawson using his new fitted irons to good effect in scoring 42 points on a scorching hot day, in second place was Paul Frost with 38 points and in third was Phil Pickering with 37 points. This week they played a 9 hole Stableford, the winner was Geoff Dodd, who also recently won the Benny Trophy, with an excellent score of 22 points. In second place was Alan Tayler with 21 points and in third was John Sykes with 20 points. Open Championship sweepstake is back! I know that you all love to have a go on our major sweepstakes and the latest one should be no exception as we have also broadened the range of prizes available to win, for just £1 a go you can pick a player out of the hat and you might win one of the following prizes. You can buy a ticket now in the pro-shop but be quick as they will soon sell out! Many of you have already collected loyalty cards from the shop, just to remind you that we will give you a card that gets stamped every time you play a round of golf and when you reach five stamps the sixth time you visit you get a FREE game of golf! This means that you can save up to £16 on the cost of a round by using our loyalty card, it should appeal to the many golfers that visit us regularly for rounds of golf but aren't club members and will give you added value to your games. 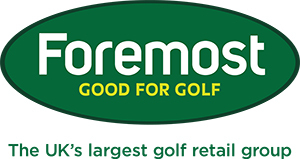 Please note that the Loyalty Card can be used by any adults paying the normal price green fees so it doesn't include seniors or juniors as we already offer these groups a discounted green fee rate. 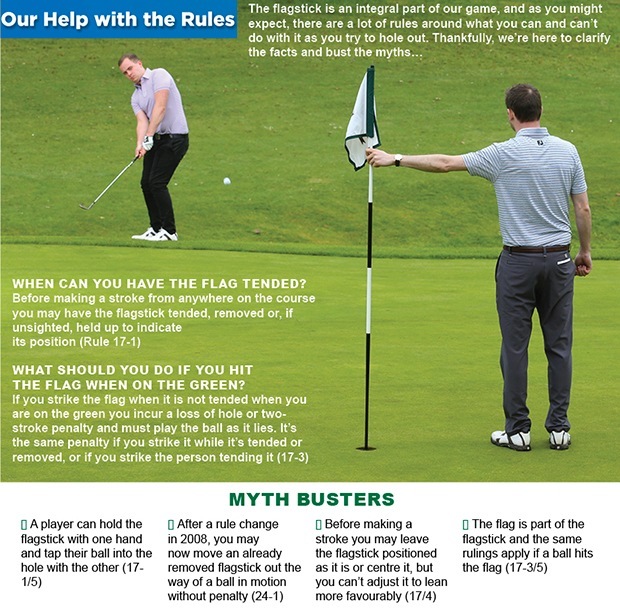 Member Jean Clare recently enjoyed a holiday to the Indiana region in America and whilst she was there she bumped into this very famous golfer, here she is giving him some advice on the line of a tricky putt maybe that's why his form improved last week! Great photo Jean!